Access, control and manage your DS Services of America, Inc. bottled water account online anytime. Managing your account online is easy and convenient. 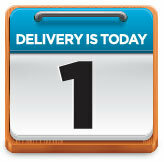 Managing your DS Services bottled water delivery service online is easy...the first step is to register your account. Visit our online registration service page to register your account.